Research in the pharmaceutical industry today is in many respects quite different from what it used to be only fifteen years ago. There have been dramatic changes in approaches for identifying new chemical entities with a desired biological activity. 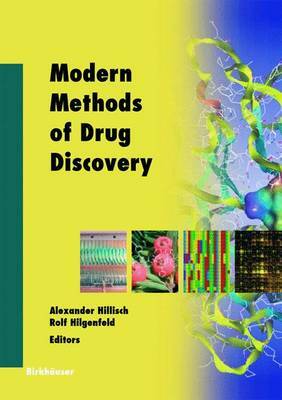 While chemical modification of existing leads was the most important approach in the 1970s and 1980s, high-throughput screening and structure-based design are now major players among a multitude of methods used in drug discov- ery. Quite often, companies favor one of these relatively new approaches over the other, e.g., screening over rational design, or vice versa, but we believe that an intelligent and concerted use of several or all methods currently available to drug discovery will be more successful in the medium term. What has changed most significantly in the past few years is the time available for identifying new chemical entities. Because of the high costs of drug discovery projects, pressure for maximum success in the shortest possible time is higher than ever. In addition, the multidisciplinary character of the field is much more pronounced today than it used to be. As a consequence, researchers and project managers in the pharmaceutical industry should have a solid knowledge of the more important methods available to drug discovery, because it is the rapidly and intelligently combined use of these which will determine the success or failure of preclinical projects.